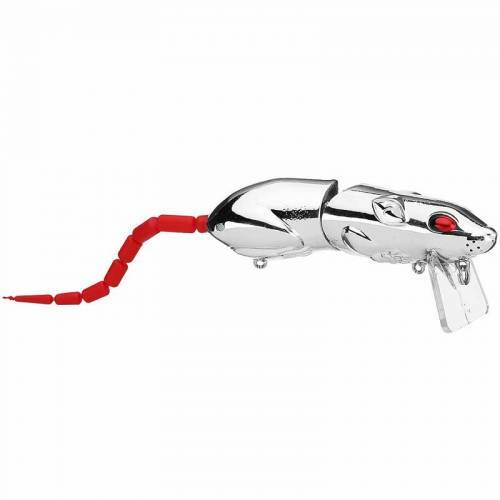 SPRO BBZ-1 Rat Topwater Lure - 1/2oz Chrome Silver. The most lifelike rat imitation to ever hit the market. Perfectly-sized single-jointed rodent profile and a durable square bill effortlessly offers a walk the dog action and a gentle wake that humps along the surface. Long articulated rat tail adds to the realistic rodent appearance. Armed with super sharp treble hooks. Assorted weights and colors available. 6.25" length (3.25" without tail). 1/2 oz.